Celebrated author of over 70 books, Stan Toler has touched countless hurting people with his timeless stories of hope and encouragement. Discover Toler’s best-selling books as David C Cook introduces the updated editions of two of Toler’s most beloved collections—"The Buzzards Are Circling, But God’s Not Finished With Me Yet," and "God Has Never Failed Me, But He’s Sure Scared Me to Death a Few Times" (David C Cook, August 2009). 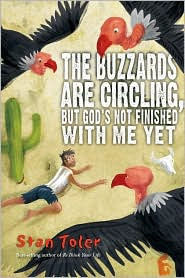 The Buzzards Are Circling, But God’s Not Finished With Me Yet $14.99, and God Has Never Failed Me, But He’s Sure Scared Me to Death a Few Times $14.99 both available at Christianbook.com and Amazon.com.